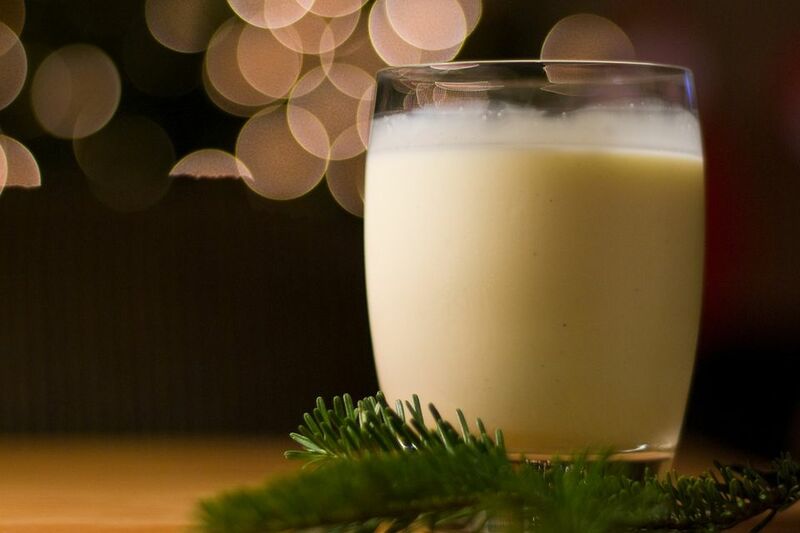 German Eierlikör, or eggnog, is not made for immediate consumption. Let the liqueur sit overnight or even longer to fully develop the aromas and soften the alcohol. Many people make it as a gift to give for Christmas or Easter, but it's so delicious, it's frequently consumed before it can be given. Heat milk, cream sugar, and vanilla bean to about 160 F (use a food or meat thermometer to measure temperature). Beat egg yolks together. Temper egg yolks by adding a few spoonfuls of the hot milk and stirring quickly. Add the egg yolks to the milk in a thin stream, stirring constantly with a whisk. You may want to use an immersion blender for this step. Stir over low heat, keeping the temperature at about 160 F, or 70 C, for 5 to 10 minutes. Remove from heat and cool slightly. Add both alcohols and stir until well mixed. Pour through a sieve into a large measuring cup or through a funnel into a clean bottle. Discard vanilla bean and any solids. Refrigerate overnight before drinking out of small cups or egg cups. You can also use it in cocktails, including these recipes found on the ​Verpoorten website, a manufacturer of "Eierlikör"
If your liquid is too thin, it was probably not heated long enough. Cook, stirring constantly until the liquid will coat the back of the spoon, like a thin pudding. You can do this in a double boiler to decrease the chance of the egg yolks curdling, too.